Discussion in 'Xbox 360 Support' started by Timmay1337, Mar 23, 2019 with 27 replies and 456 views. Hey all, I really got stuck here. 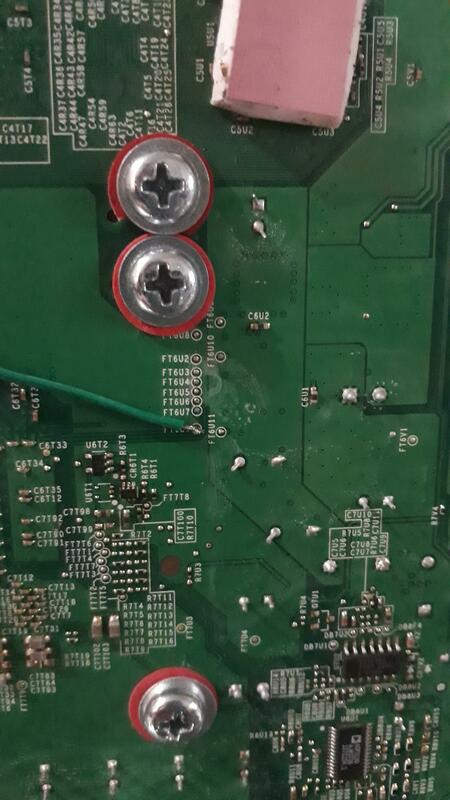 I’ve been working on this for days and I finally gave in but I really really want to successfully RGH A console I have been repairing and modding consoles for awhile now and never had any problems with soldering boards. I first attempted the jasper but didn’t succeed, it wouldn’t turn on at all. I checked all my solder points etc went over the tutorials loads of times. I tried it again on my falcon and it wouldn’t turn on at all either. I read NAND no errors with matching NAND’s. Wrote and created ECC no errors. 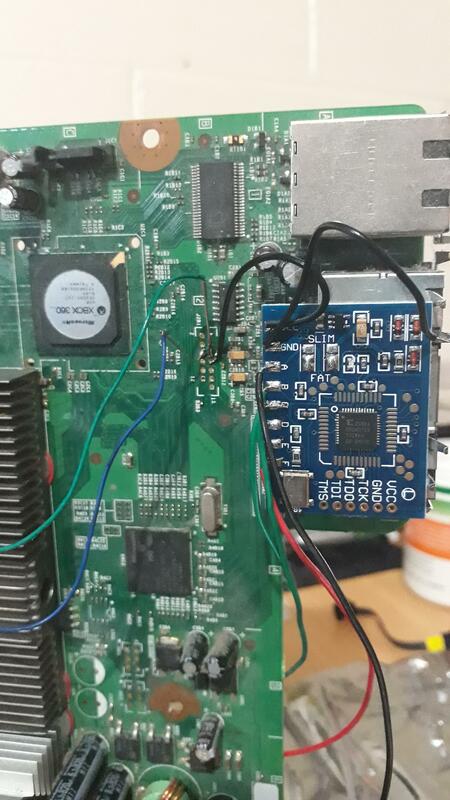 Wrote a timing file to the MATRIX and soldered the phat selectors on the MATRIX and all the points to the motherboard. I thought how could this happen to me again.. 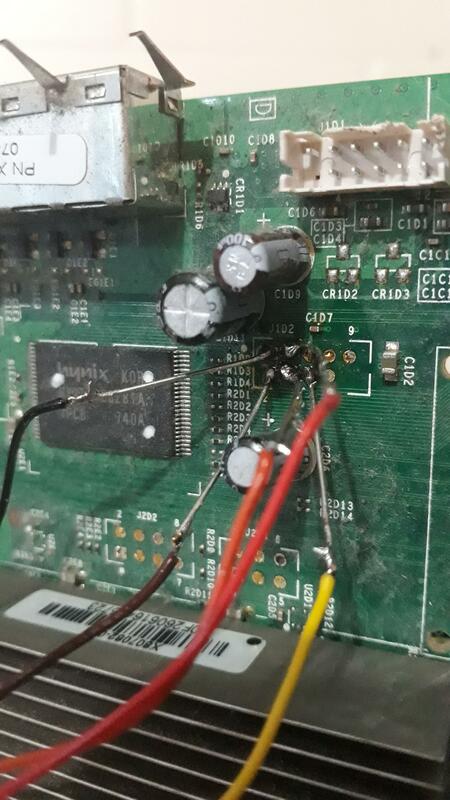 I was really careful to not have any shorts and checked the soldering and it seemed to be alright but now I’m really stuck I don’t usually ask for help because research does it for me but this time I really have no idea whether it’s the solder, my process or a faulty programmer. Your images are broken and I had a hard time understanding your post. Does your console power on at all? As in fan power, lights coming on, noise at all? And if none of that happens, have you tried writing stock back and removing the power to the chip to rule out a brick? Oh? I tried to link them to public Facebook photo's.. I don't think I have privileges to send a link yet because I haven't posted 10 times yet. whats the best way to link pictures here? Sorry I should have made my post more simple. Thanks for reading it. No my console doesn't turn on at all.. no lights, power or fans. I haven't tried writing back the stock nand but I can try now. 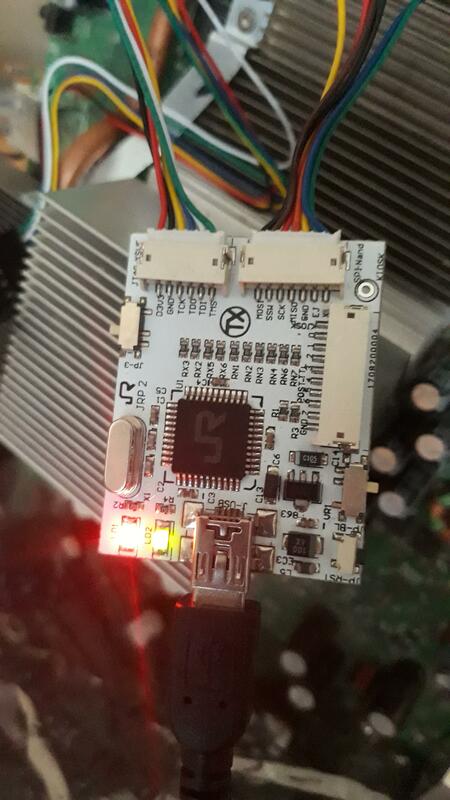 Are the Nand's that were saved in j runner still stock even after creating and writing the ECC? Still broken, save the images and upload them to imgur or another image hosting site, other than facebook. Looks like a couple of your points could be bridged witch id most likely your issue. I would redo your soldering. Also, doesn't look like you used flux. USE FLUX it's a night and day difference and will make your life easier. Cheers, I'm confused though if it was bridged wouldn't the nand read and ecc write have errors? I looked really closely and none of the wires looked bridged to the n***d eye but I could try it. 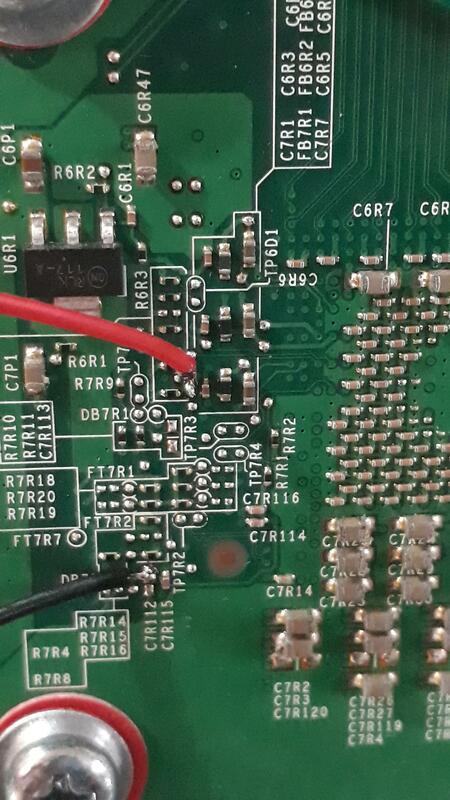 I did use rosin soldering flux but the points for the jr programmer didn't conduct very well with the solder.. The nand points may not be your issue. Also, rosin core is not the same as flux. Flux is something you apply to the points and it makes your head and solder flow easier. Hmm, Could possibly be the matrix glitcher ports. its rosin flux, I thought that was flux lol what kind of flux do you recommend? Most flux pastes work decent. I just wated to make sure you didn't think rosin core solder counted as flux. 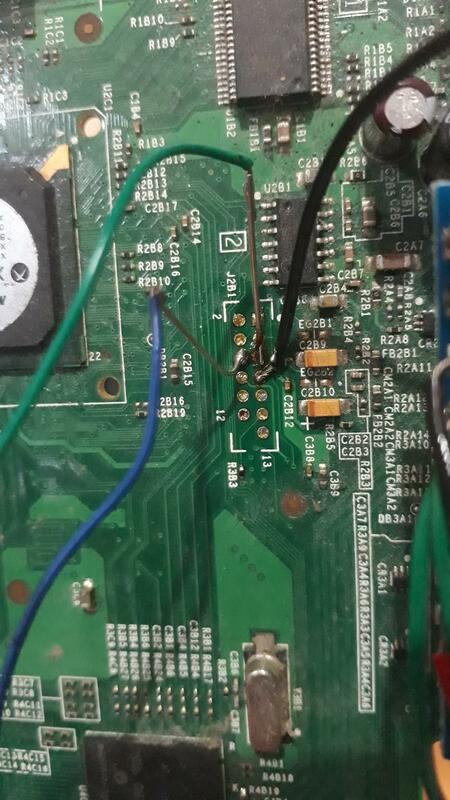 I reccomend you write the original nand and de-solder the 5v from the chip and see if the console boots. If it doesn't, then start removing the wires one by one (from the motherboard) until it boots. That way you'll find which wire is causing the issue. Most flux pastes work decent. I just wated to make sure you weren't think rosin core solder counted as flux. Oh sweet haha, Ok so I have the 2 nand's that it read will it still be the original even after the ecc was created and writen? Thanks so much for the help by the way! EDIT: By stock after ecc, i mean your dumps prior to writing ECC will be stock. Oh so to clarify if dumps were read before writing the ECC. Writing the ECC wouldn't have edited nanddump1.bin files that were saved beforehand? No, the ECC does not override nanddump1. Nanddump1 and 2 should still be identical copies of your original nand. Cheers just wanted to double check are my switches the right way around for writing the nand? On mine the top left switch stays on XSVF(Up). Shouldn't matter for writing the nand though. Is yhat the way you had it for writing the timing file? Becasue it MUST be tward XSVF to write your timing file. Also, I would unplug one set of those cables. IE only have the NAND cables for writing the nand, and the timing for writing the timing file. I had it towards XSVF for writing my timing file to the matrix glitcher yes oh sweet as. I am writing the original nand dump right now but I had to remove the ground wire on the matrix and the blue light on the matrix was still on just really dim and it wouldn't write the nand so i took off the 3.3v positive wire and now its writing the nand..
is it normal for the matrix glitcher blue light to be on when the console power is plugged in without the console being on? You only removed ground. You need to remove the 3.3v power otherwise power is still flowing to the chip, there's just no ground to make a complete circuit. Generally not advised to do this, may or may not damage components. 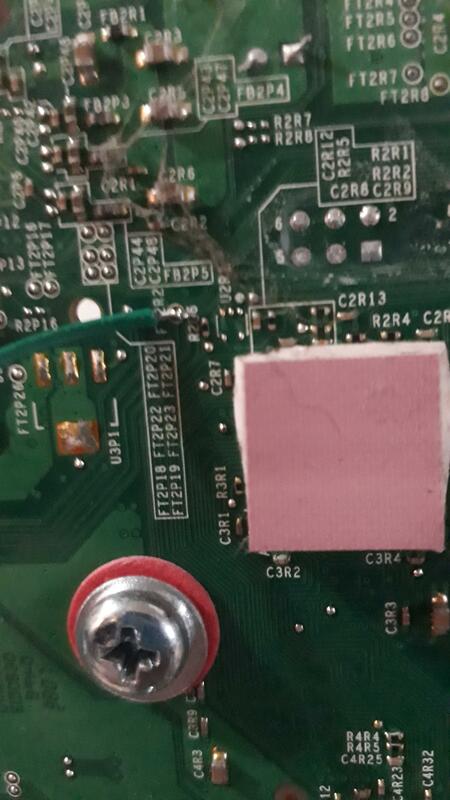 Hey I wrote the original nand to the console disconnected the matrix glitcher v3 and the console light finally turns on and spins the dvd drive but after 15 seconds it gets a 3 light rrod im guessing thats not from the nand am I right? This console has had a history of rrod's. 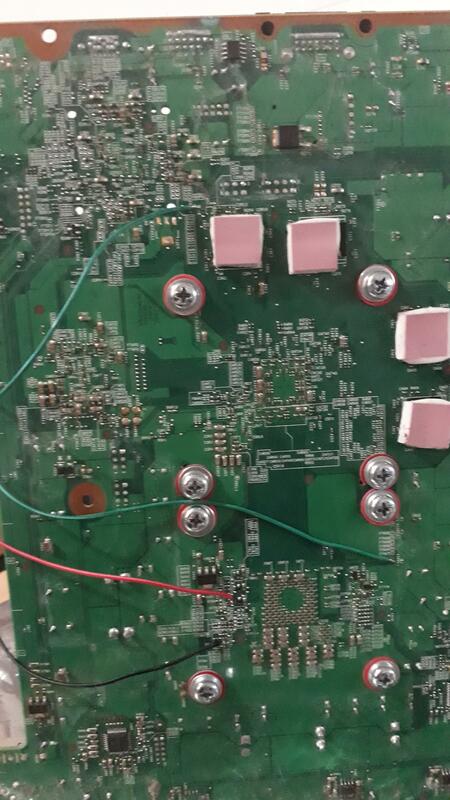 By the way this console was used for a test run because my better console (jasper)I Failed the RGH beforehand.. I could be the NAND, but it's more than likely a solder bridge. Remove all wires from the console and see if the issue is solved. If it is, then there is a problem with your soldering. It's good that is is a test console. None of us get it right first time, you'll get there. Just shorten the wire ends as much as you can and take your time.